Red Deporte participated in a roundtable on Roma inclusion through Sport in Bucharest, Romania. 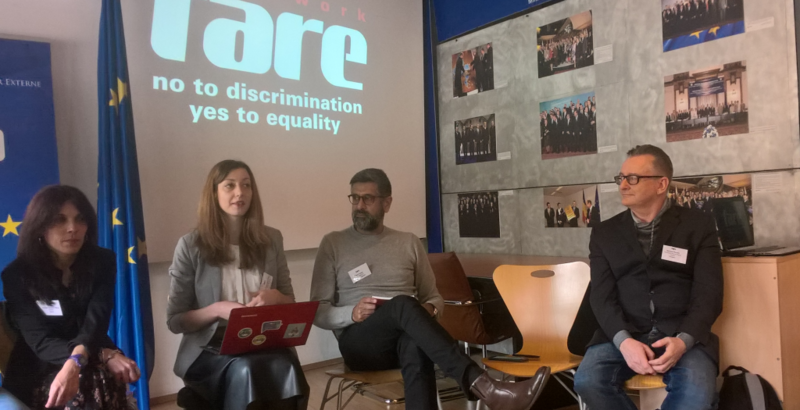 On the 28 March, the Fare and the Policy Centre for Roma and Minorities gathered Roma NGOs and experts from 18 countries and organised this event to celebrate International Roma Day. All together we shared knowledge and experiences and through discussions and workshops, we were exploring how sport can be used as a tool to develop the community. All the partners agreed to take an action and create an advocacy group on the discussed topic, commission a report through Fare that will highlight successful Roma sports initiatives and document methodologies, engage with the EU to develop and support the activities, and explore partnerships to support effective programmes at the grassroots level.